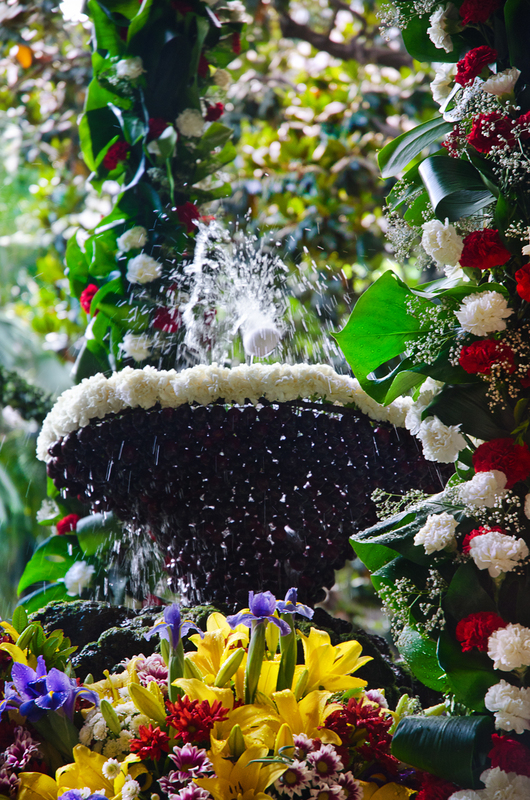 In the cloister of the Cathedral of Barcelona there is a beautiful fountain decorated with flowers that reminds you of idyllic gardens, of some paradise lost on earth. It is the Sant Jordi fountain. Surfing over the soft cushion of its water jet once a year you can see a fragile eggshell that seldom falls which is called the L'Ou Com Balla, which translated literally from Catalan means how the egg dances or how dances the egg. This is not the only place in Barcelona where you can find a dancing egg (there's one a la Casa de l'Arcadia or at Museum Frederic Mares' courtyard for example) but I think this is the one with more tradition, a tradition that goes back to the XIVth century and has to do with Corpus Christi celebrations, the eggshell itself representing the body of Christ. The exact date to see L'Ou com Balla changes but it takes place at the end of May or in June depending on Corpus Christi Feast. This is a tradition I've not heard of. A dancing egg would be fascinating to see. I think its for valentine!! !